I miss writing in this space, and have many stories to tell. However, my return to higher education has hit me like a lead cudgel and it’s been all I can do to just stay on top of my assignments and exams, all whilst navigating the zillion challenges attendant to plopping oneself alone in the midst of a foreign country. 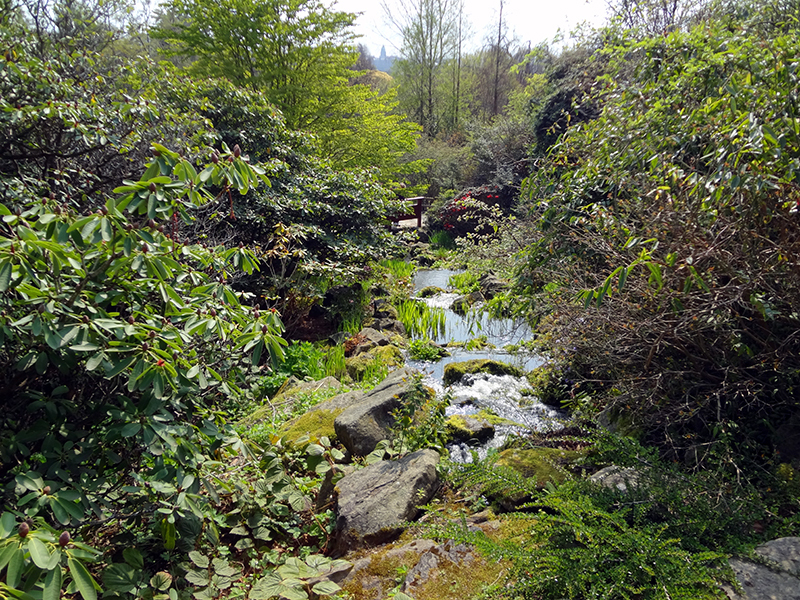 However, I wanted to post a few photos showing where I am two days a week, at the Royal Botanic Garden Edinburgh. All day Tuesday I have work experience, in which I spend four weeks at a time shadowing different professional teams at the gardens and doing what they do. 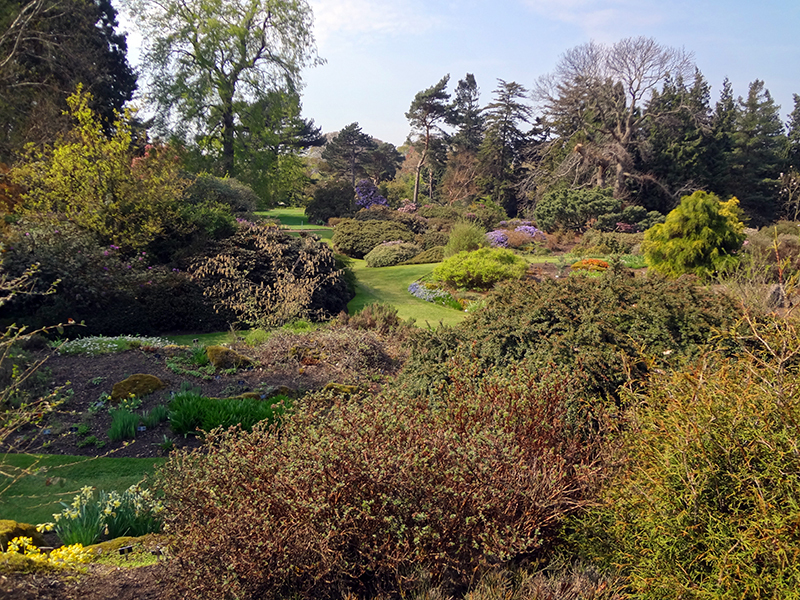 Everyone has been great to work with, and I have to pinch myself that I get to help care for such a beautiful and respected garden. Then I am at the gardens again all day Friday, when I have horticultural practices all morning. It’s a very hands-on learning day where we’re again working with garden staff—some of them the best plantsmen in the world in their areas—on all sorts of learning scenarios. 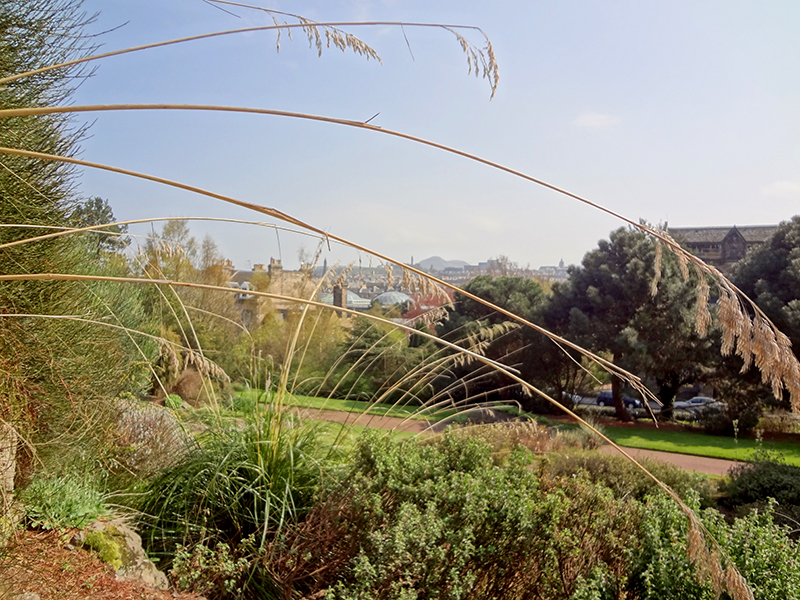 Friday afternoons is plant recognition, when we learn morphology, taxonomy and take high-speed walks through the garden with the head of education as he points out everything we have to learn for weekly identification tests…in Latin. 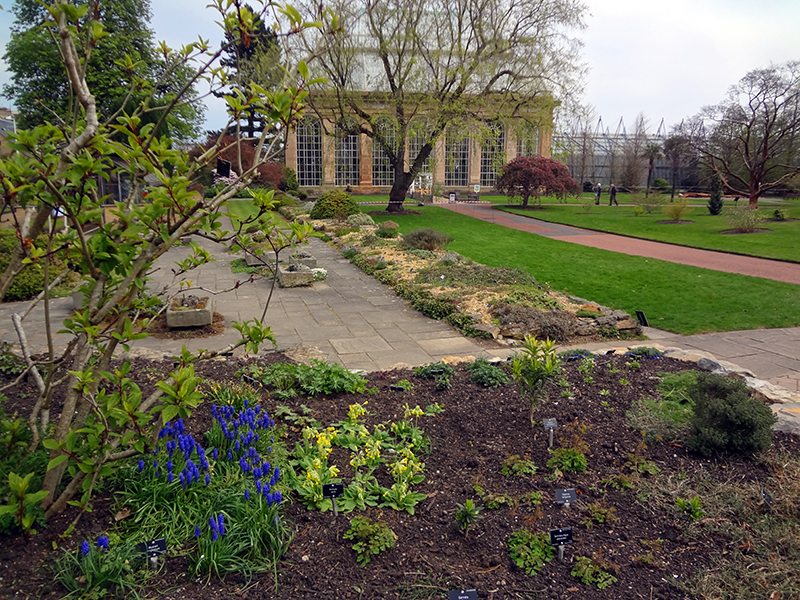 These photos are from last April, when I first visited the garden as a tourist having no idea that in six months I’d be working here…even though when I walked through the gates my first reaction was that I didn’t want to be anywhere else. Strange how we dream our lives into reality, isn’t it? The Chinese hillside. The Botanics is very active in China now, with many staff going on lots of seed-collecting trips and bringing material home to Edinburgh for propagation. 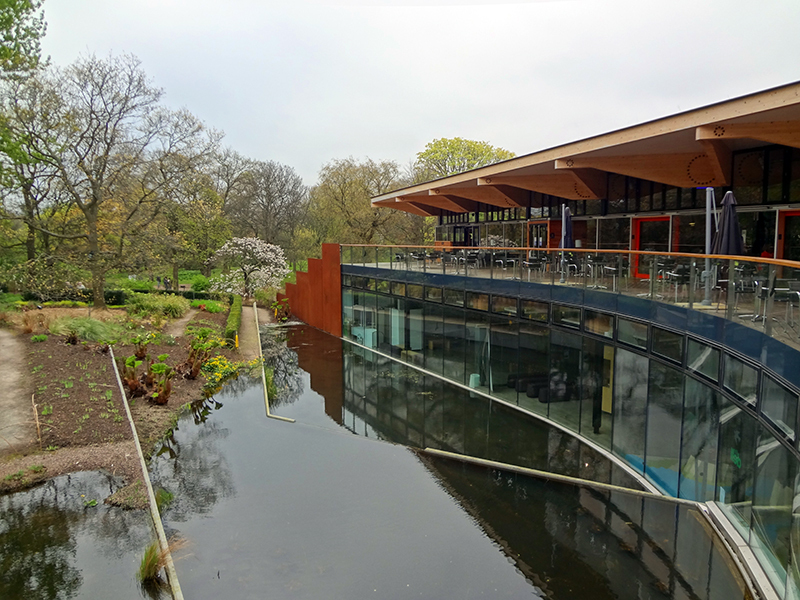 The John Hope Gateway cafe and reflecting pool. To the left is an area planted in the perennial/meadow style, which in April is not doing much but looks fantastic in the late summer. On this deck was an outdoor display of the International Garden Photographer of the Year photos, which I had written about here last February, never expecting to see the prints in person. The alpine yard, which is a miniaturist fantasy with all these gorgeous tiny little plants flowering in rock installations. The British love their alpines—I am working on some theories as to why but need to do more research. 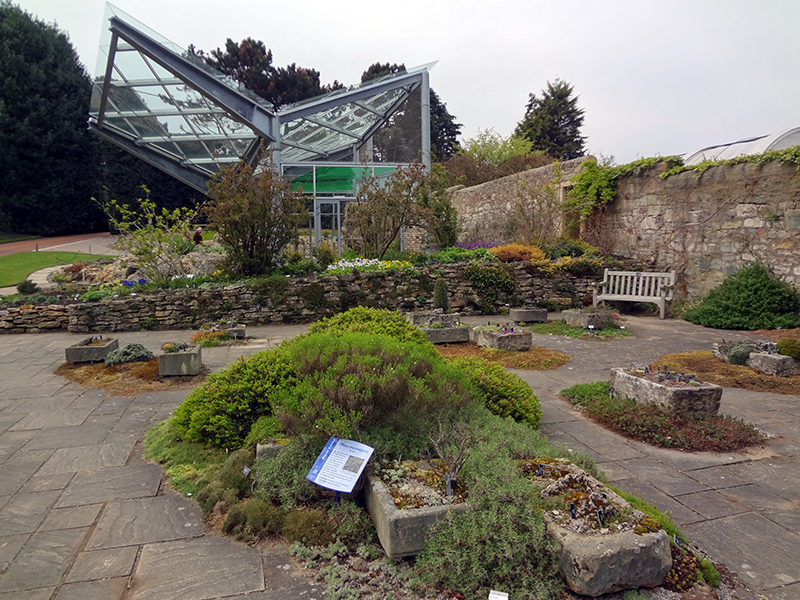 So while I have not been tending Bonafide Farm, nor writing on this blog, I have been here in Ediburgh, at the Botanics. The first term is over at the end of next week, and I hope then to catch up on some writing here. Until then, I wish you all a very happy Thanksgiving! Those gardens are gorgeous. I can understand why you wanted to get an education there! You are currently reading Where I’ve been, and a happy Thanksgiving at Bonafide Farm.